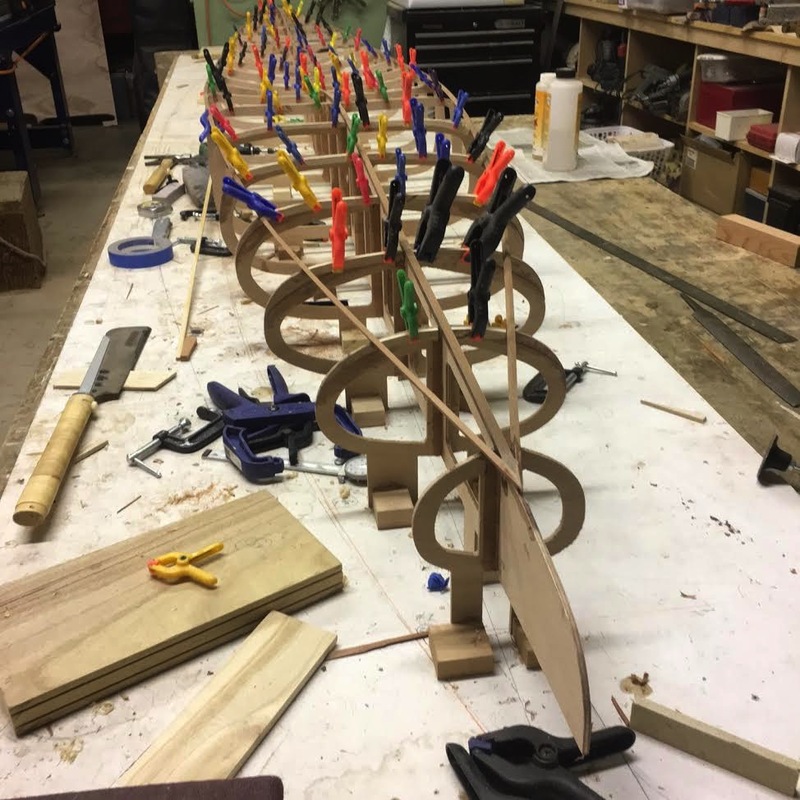 I’m often asked the question, “How long does it take to build a strip planked board?” What I suggest people is that it’s going to take a long time and it will be challenging. I also suggest that it could be one of the most rewarding projects you ever take on. Every builder comes to the process with different skills and amounts of patience but many with varied experience have built beautiful boards. Patience comes with commitment to process. No matter what our experience we all pay dues in some way. 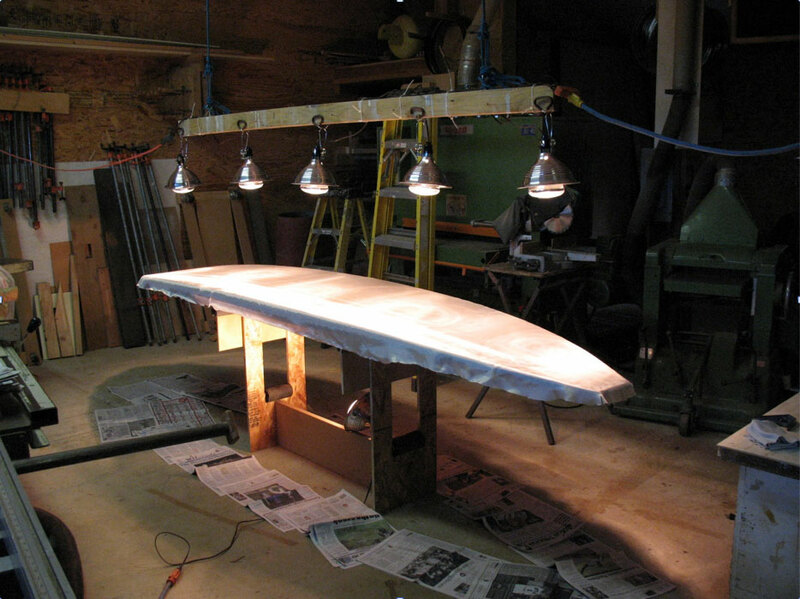 Most craft processes can be learned incrementally and building paddleboards is no exception. If your experience is limited it will certainly take more time to finish your board. A woodworking mentor to help you during the early stages of your build would be a bonus, but there are also numerous online tutorials that are excellent resources. Many of the tasks involved with building strip planked hollow wood boards seem mysterious until you see the set up. When you see how experienced board builders accomplish specific tasks it’s a matter of creating the same “picture” in your own shop. Proceeding incrementally, learning the skills as you go and not getting impatient is the key. If you are in a hurry or get easily frustrated when things don’t go exactly as planned you will be in for a difficult journey. 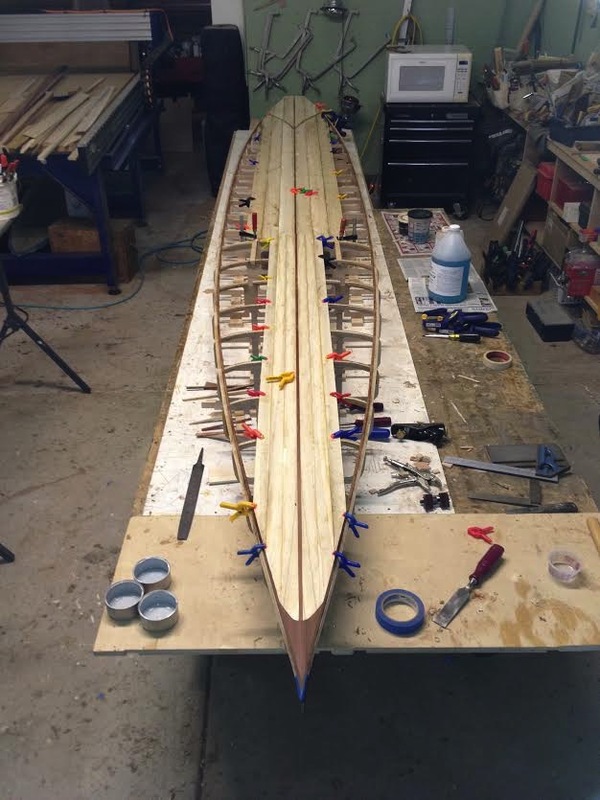 If you orient to the process in such a way that you take the time to learn as you go you can accomplish almost anything in life, including building a strip planked paddleboard. In addition to the woodworking component in building a strip planked board, you will need to apply fiberglass and epoxy resin to finished and sanded wood board. I must admit that glassing my first board was daunting to think about. But again, there are some great tutorials on how to take the “scary” out of the process. There are “tricks” to “glassing” just as there are with any other craft task and those “tricks” are not hard to learn.